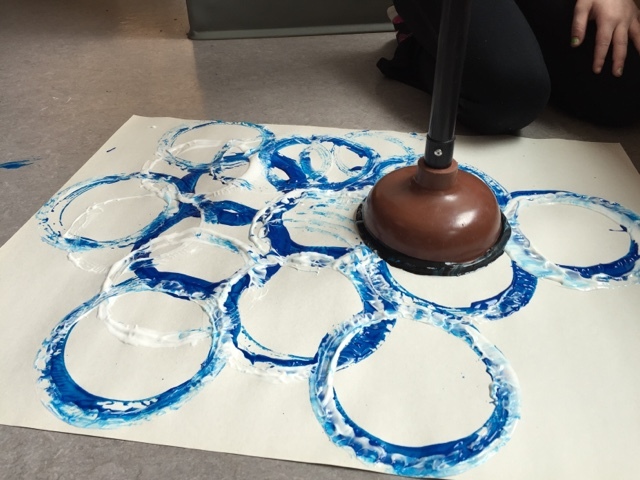 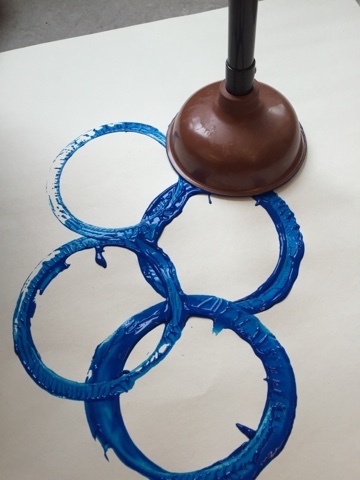 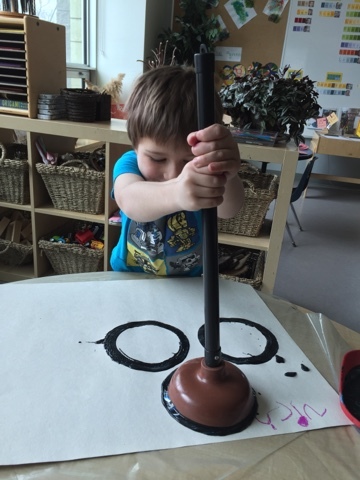 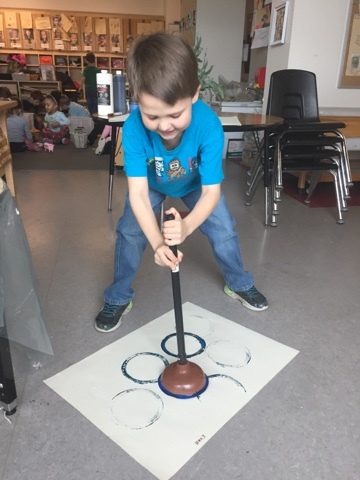 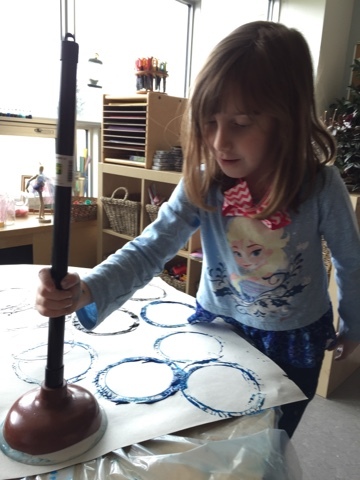 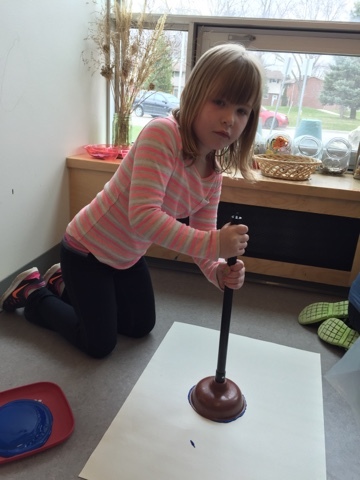 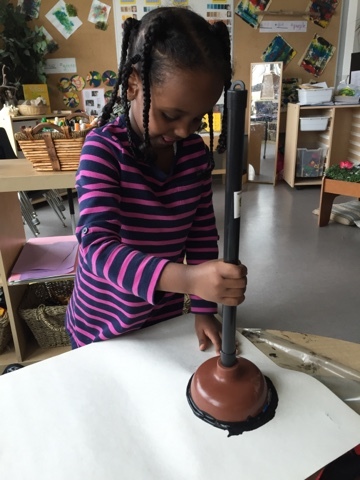 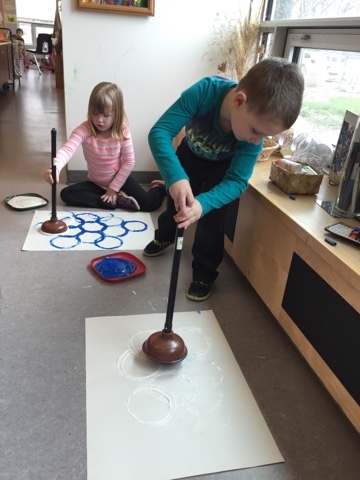 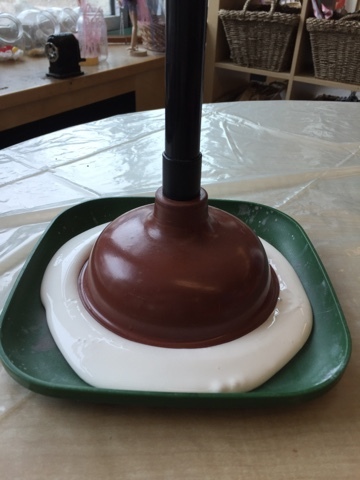 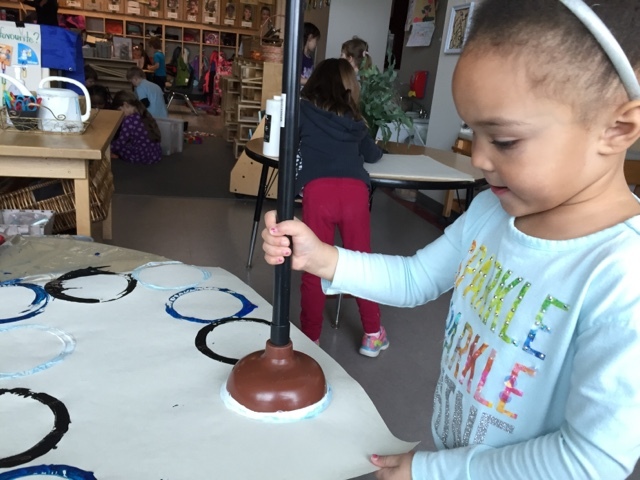 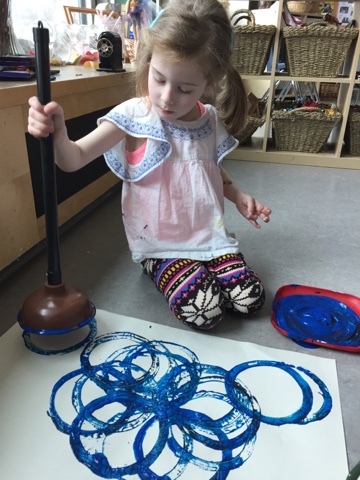 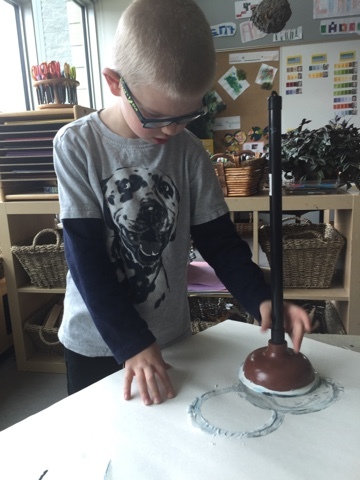 Joyful Learning in the Early Years: Plunger Painting! 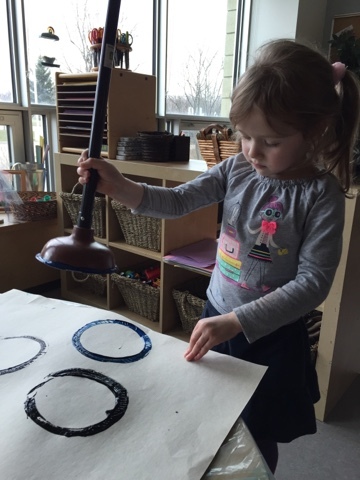 So silly and so much fun! 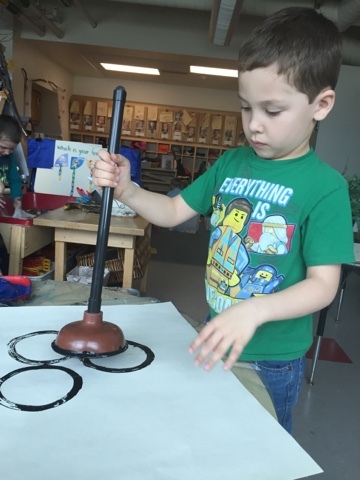 Yep...those are brand new, clean toilet plungers. 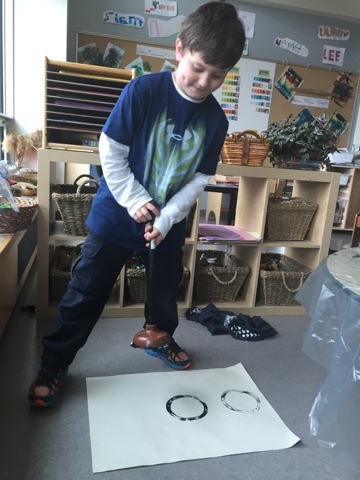 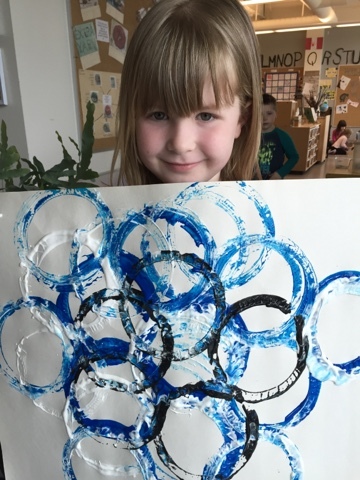 This process-based art definitely brought a smile to our face on this dreary day! 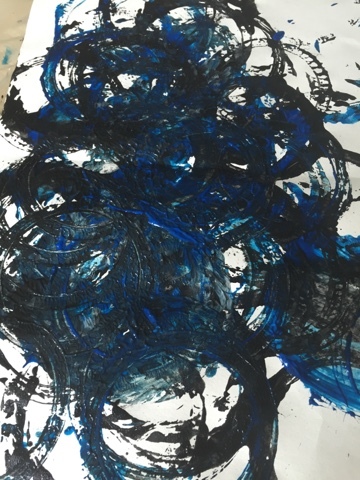 The results are pretty stunning too!